"The Osprey is a muddle of Argon and original Teladi Technology, it was developed to become a long-range cargo transport craft, as it fits similar amounts of cargo to the Teladi Vulture. 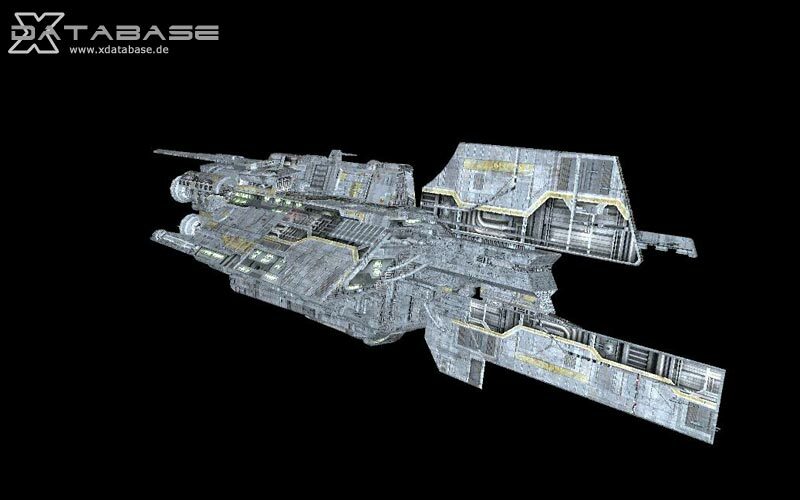 The ship itself combines Shield and Weapon Compatibility to be one of the most deadly Teladi Craft currently in service. But its speed makes it one of the slowest craft of its class."